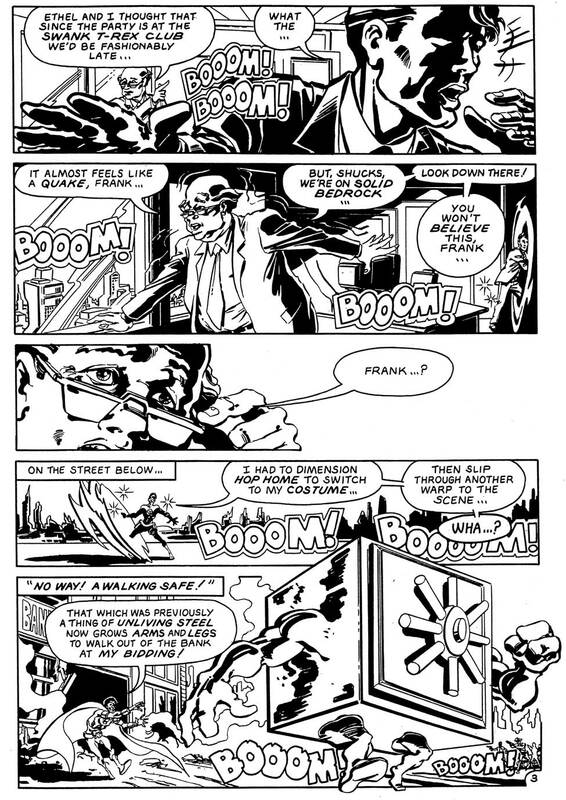 Our team-up, called the Free & the Brave, was written and drawn by Chris Khalaf, making (I think) his only appearance in the pages of Big Bang Comics. I have always felt that it was one of the most successful approximations that we ever produced. In the story, the Knight Watchman goes undercover in search of Linda Taylor, the daughter of a friend of his alter-ego Reid Randall. Linda has been kidnapped, with a one million dollar ransom request for her safe return. The Watchman’s disappearance is noted by local villains in Midway City, and crime is on the rise until the Blitz turns up to fill in for the missing Twilight Paladin. Meanwhile, the Knight Watchman has tracked down the missing Linda Taylor, who is the brains behind her own kidnapping and planning to use the million dollars to finance a terrorist crime wave to rebel against her capitalist father. Shades of Patty Hearst! The Blitz turns up in the nick of time to help the Watchman arrest the angry heiress and put an end to her reign of terror. 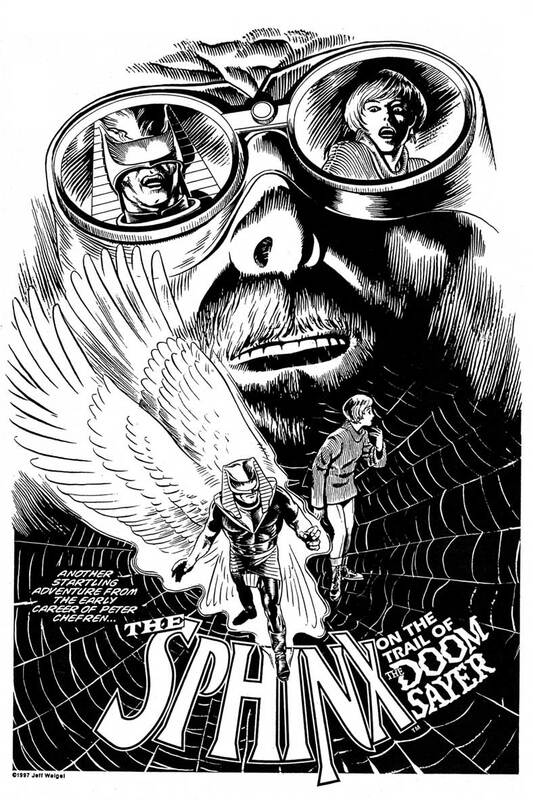 Jeff Weigel’s Sphinx returns to the pages of Big Bang Comics in “On The Trail Of The Doomsayer.” In this mini classic, the Sphinx’s search for the missing Professor Demios has taken him to Jefferson University, where the eccentric, unstable genius used to teach. 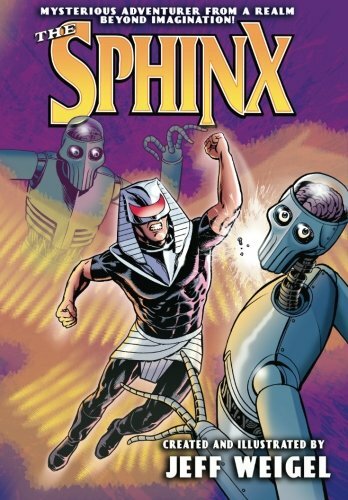 Demios disappeared after an explosion in his robotics lab on the college campus a few years earlier, only to have resurfaced in Big Bang Comics #9 as the evil Doomsayer, who had transferred the brains of condemned killers into robots.The Sphinx thwarted Demios then, and is looking to stop him again. At the university, prodigy graduate student Allison Kane is assigned to guide Peter (the Sphinx) Chefren around the campus. She takes him to the school’s ugly new mechanical engineering building, which turns out to be a giant robot controlled by the Doomsayer. 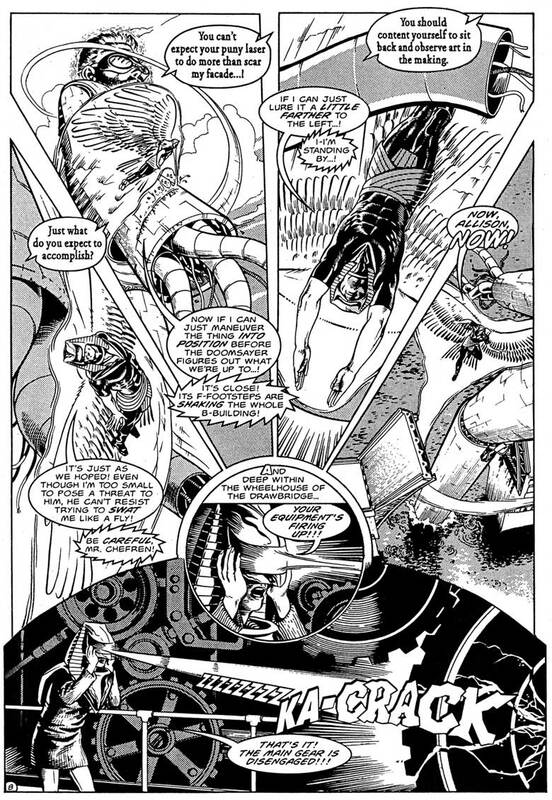 As the Avian Ace battles and distracts Professor Demios, Allison uses one of the Sphinx’s spare helmets to damage the robot’s gears, immobilizing it. Then the Sphinx takes control of the robot, defeating it and humiliating Demios at the same time. Finally, Peter Chefren offers Allison a job after she graduates from the university. Jeff Weigel is an amazing storyteller, writer and artist. Everything he does is fantastic, including the Sunday Phantom comic strip from King Features Syndicate, which Jeff is currently drawing. 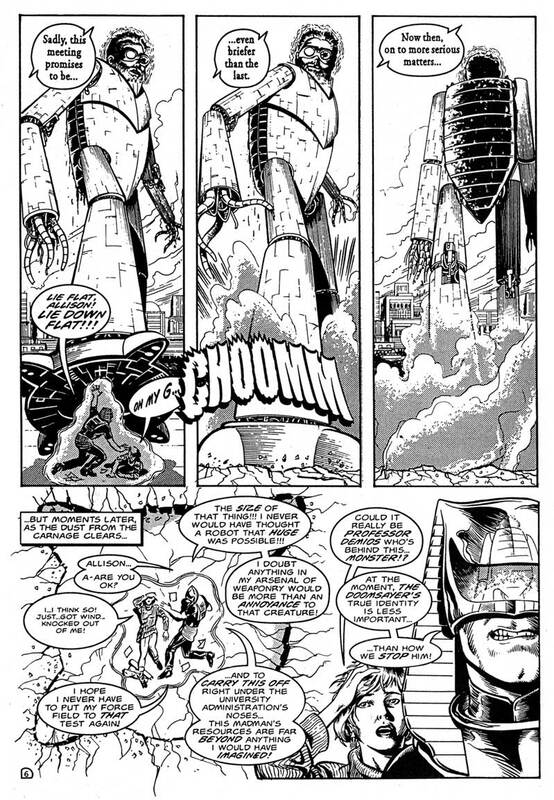 The third and final story in the issue introduced a brand new hero to the Big Bang Comics universe – – the dynamic Dimensioneer! This brand new hero is just learning to use his powers, which include creating dimensional portals that allow him to warp himself or anything else to another location. 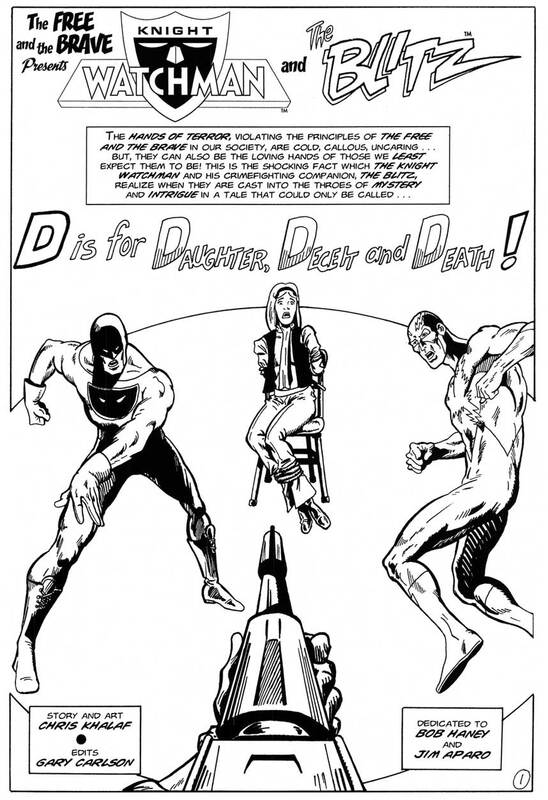 Created, written and drawn by Dan Reed, the Dimensioneer is not an homage to, or based on any existing heroes from comics’ Gold or Silver Ages. Yet, like the Sphinx, both have the look, feel and heart of classic, timeless comic books. 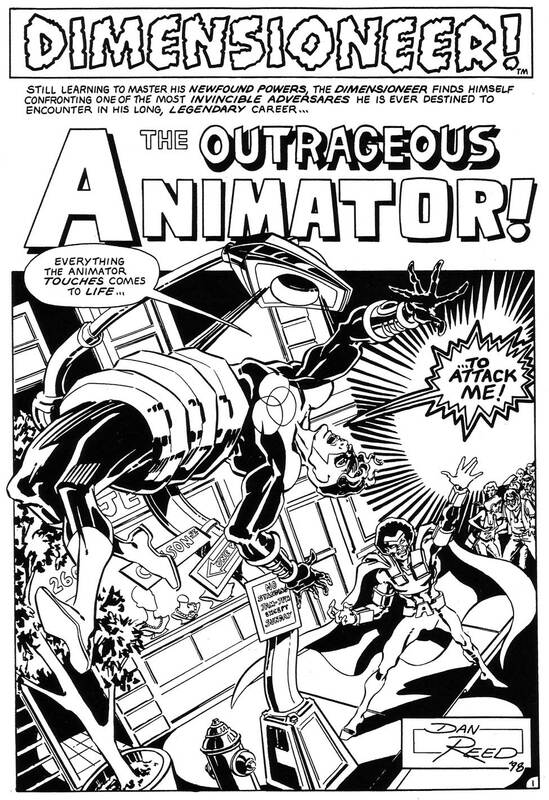 In this tale, the Dimensioneer faces a villain known as The Outrageous Animator who has the ability to bring inanimate objects to life to do his bidding. He starts by animating the safe of a bank he is robbing, ordering it to walk away with his ill-gotten gains. At this point the Dimensioneer shows up and foils that robbery by creating a portal in the ground and trapping the safe in a hole. Angry, the Animator causes a building to come to life and attack our hero. 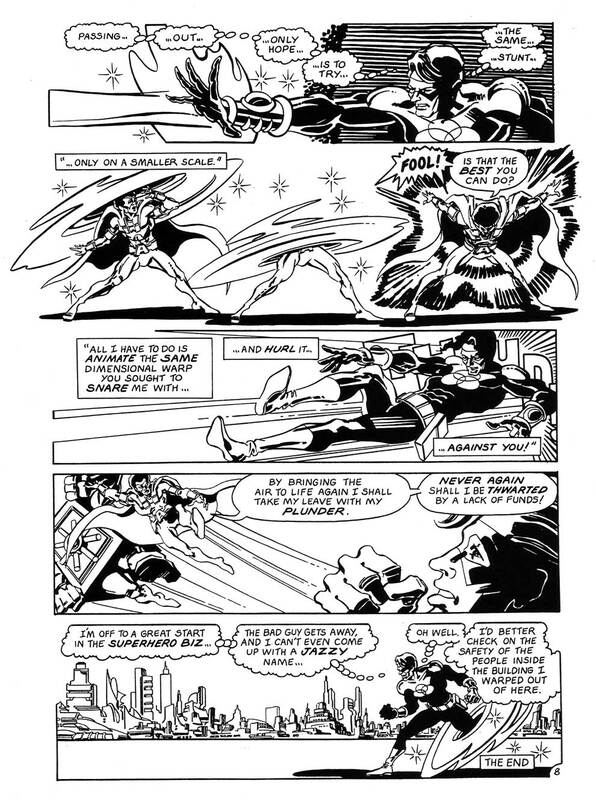 During that battle, the villain escapes with the safe, leaving the Dimensioneer disappointed in himself. 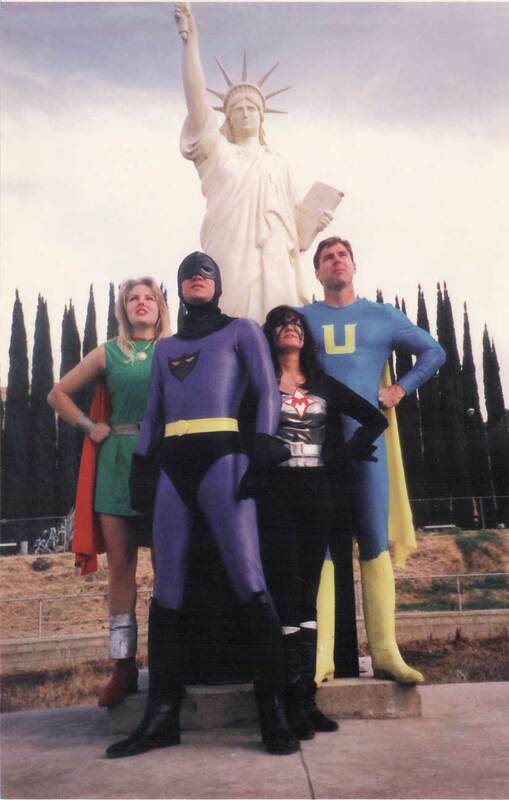 Big Bang Comics, Knight Watchman, the Blitz and all related characters are © and TM Gary S. Carlson and Chris Ecker. The Sphinx and all related characters are © and TM Jeff Weigel. 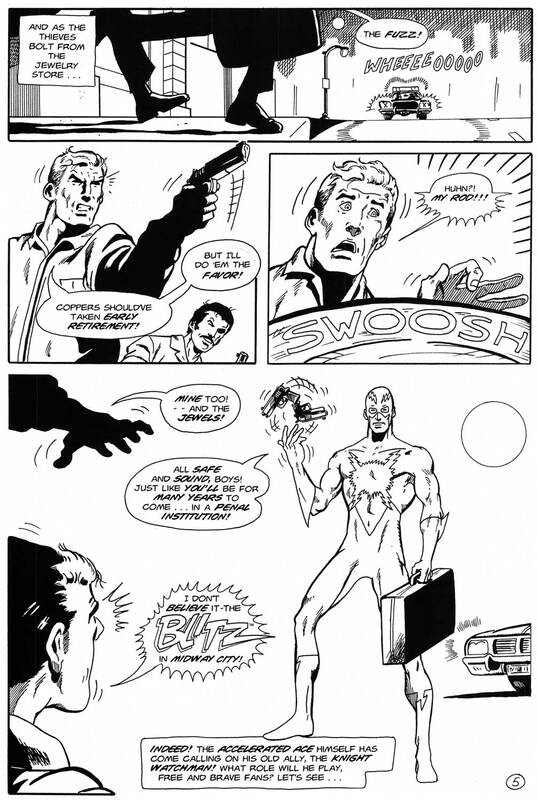 The Dimensioneer and all related characters are © and TM Dan Reed.